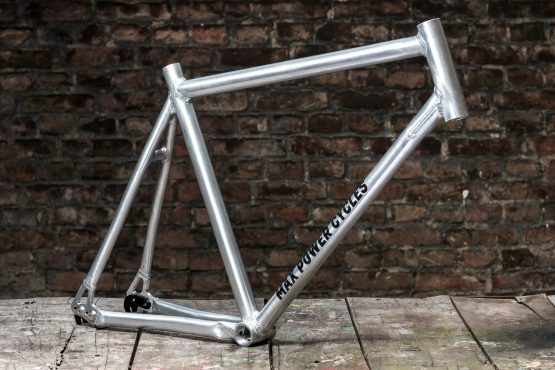 Our first Bike Polo specific frame, made from high strength aluminium. 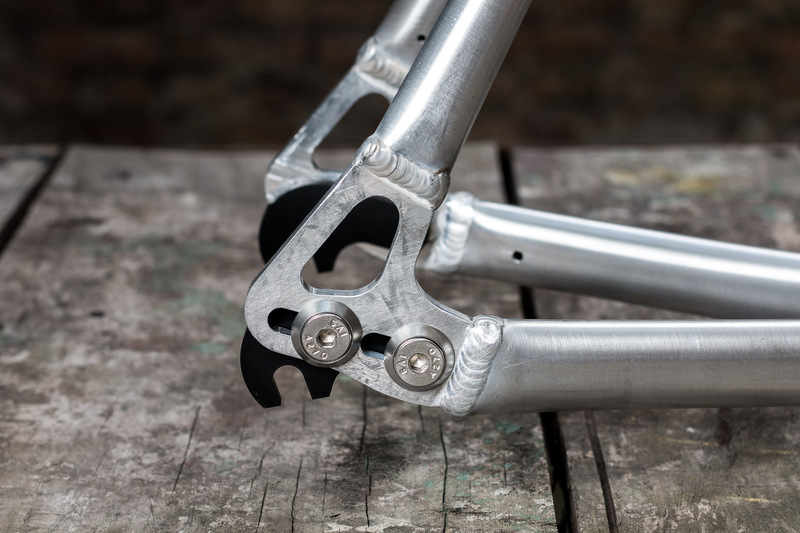 Extensive prototyping and years of experience led to a whole list of improvements since the first version, which make this an extremely durable and tough frame at reasonable weight. Therefore, this frame comes with a 5 year warranty against defect in material and workmanship. 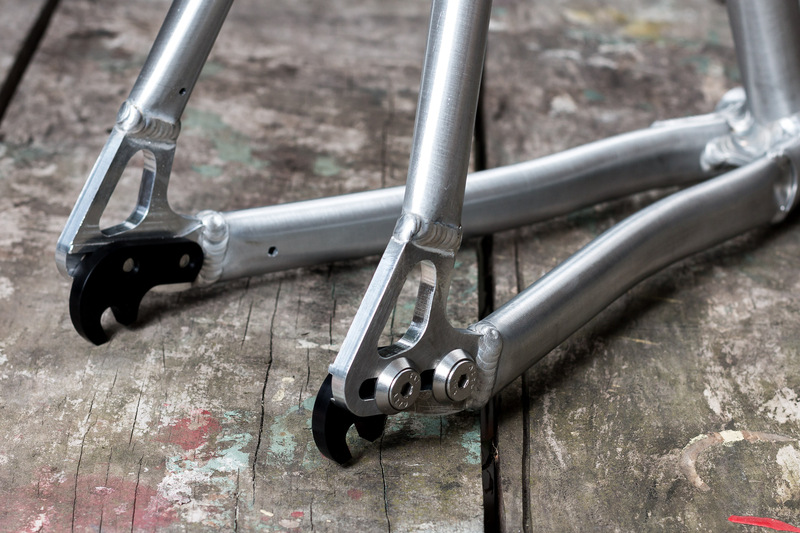 Equipped with our signature sliding dropouts, which allows for changing gears on single speed setups with no tools needed. Install two chainring-sprocket combinations with the same tooth-count, just open the quick release and switch the chain between the two gears before putting the wheel back in the dropout and tightening it again. Also great for polo touring setups because special derailleur dropouts (also sold seperately) allow for using a regular shifter seup. Developed in collaboration with, and ridden and approved by the famous EDISONS, who are former European Vice-Champions and 5th in the world, and won the German championships countless times. Available as framekit or frame only. Raw frames are usually in stock, delivery time is 1-3 days for Germany, 1-3 weeks for customers outside of Germany, depending on the country of destination. Add another 1-2 weeks for custom paintjobs. powdercoated: durable, high quality 2 layer coating, very tough. You can pick any color in the RAL-chart: http://www.ralcolor.com/. If you want additional fancy glitter effects add a comment on checkout, I'll see what is possible and send you a quote. anodised: unique metallic finish. Google for example pictures. Available colors: black, silver, grey, red, green, blue, gold, pink, orange, each in different shades. Please note: it's pretty much impossible to specify an exact color shade. 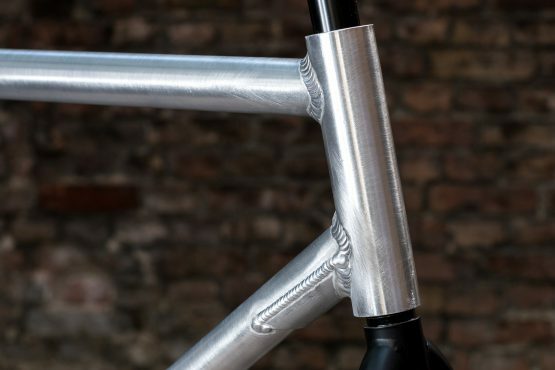 If you want the frame color to perfectly match other anodised parts, it is hit-and-miss. 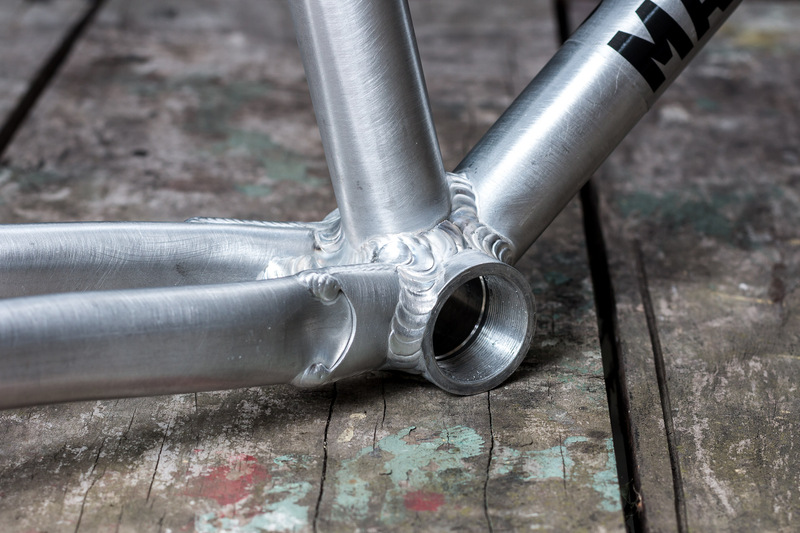 no frame color: frame comes in its straight-out-of-the-workshop brushed silver finish. Nice look, easy to refresh with steel wool when worn out or scratched. Everything you need, all dropout bolts and washers are included in the set. 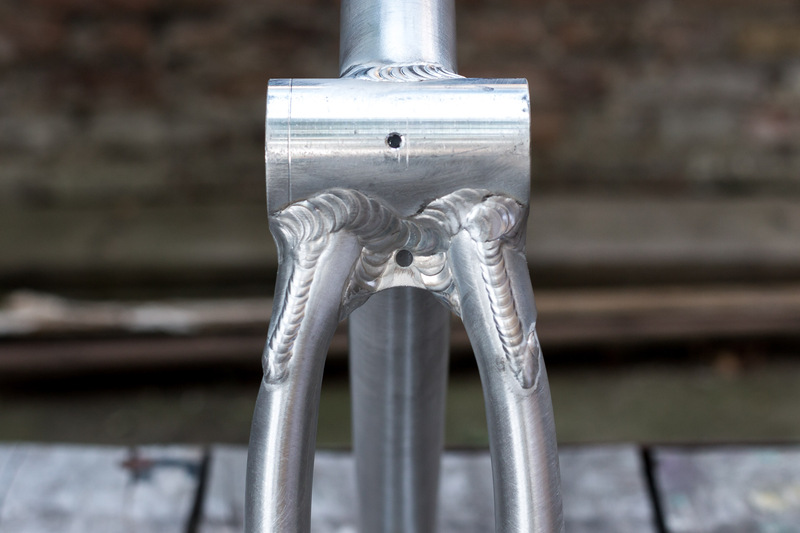 A few words on top tube length: This frame is designed to give the rider a comfortable, laid back riding position on the bike, without needing to run a standard 100 mm stem (which would increase the travel radius on the riders hands while turning). As the top tube is a bit longer than usual, subtract 25 mm from your normal stem length to maintain your usual riding position. Weight distribution is shifted towards the rear wheel, allowing for easier wheelie-turns.